It’s been awhile since we talked about Vision Airlines here, but there has been plenty going on with the carrier as it desperately searches for a strategy that works. For the most part, it’s been bad news as effort after effort has failed. But now, it’s time to try something new for the airline. Anyone for Myrtle Beach? Vision’s first plan was flying between Atlanta and Louisville. That didn’t work. After that was announced, Vision’s big plan was for a hub in Destin, Florida. The airline threw a ton of flights at Destin, hoping that something would stick. None of them did as point-to-point markets so Vision tried allowing people to connect. That didn’t work either. There is nothing on the schedule for this summer to Destin at all. I wonder if the airport is still owed a bunch of money? So, now what? Ever since Direct Air failed in March, there has been “opportunity” in former Direct Air markets. I put that in quotes, because with fuel prices as high as they are, I’m not sure how much opportunity is actually there. But hey, Vision is going to give it the old college try. The plan, according to the latest posted schedule on the website, is to fly from Myrtle Beach to Cincinnati, Clarksburg (WV), Cleveland, Columbus/Rickenbacker (OH), Indianapolis, Louisville, Nashville, Springfield (IL), and Toledo (OH) from May 31 through October 31. Each market will see two flights per week at various times throughout the day. So is this one going to work? To the surprise of nobody, I’m skeptical. Direct Air had survived for years flying routes like these, but even it couldn’t keep chugging along. Fuel prices keep going higher, and these are definitely not high fare business travel routes. This is all leisure, and it’s not expensive leisure either. But there is definitely outside money going into this, so Vision might find a way to make it profitable. If so, then someone else will just fund the loss. While I don’t know if Myrtle Beach is subsidizing this service, it wouldn’t surprise me. The airport director did note in the press release that he was excited to “partner” with Vision. We also do know that subsidies are on the table from other cities. Springfield, for example, will subsidize the flights if they don’t reach a certain passenger number threshold. Possibly the most telling of all here is the stunning announcement from Rockford that it wouldn’t offer subsidies to Vision so it won’t be getting a Myrtle Beach flight. That is a big deal, since Rockford will subsidize anyone on earth. I mean, this is the airport that’s willing to subsidize flights from Rockford to London and Honolulu, yet it thinks that Myrtle Beach is not “a good destination for us at this time.” Seriously?! Vision is certainly trying to be opportunistic here by going in and out of markets when it thinks it can make a buck, but it definitely concerns me to see an airline making so many drastic changes in its route system relatively frequently. Travelers start to get wary when there’s no consistency and that can be bad for business. Maybe this one will stick, however, and Vision will have finally found the niche it has been so desperately searching for. The again, maybe not. for sure a golfers paradise like that could pull in the passengers, I guessed wrong. Myrtle Beach is a destination for people in SC/NC/GA, due mostly to its low costs and its relatively good tourism infrastructure. What it is not, however, is a tourist detination that people fly to, or atleast fly to REGULARLY. Due to the low cost of home ownership there, many retireees and snow birds take up residence, but its difficult to make a business case for flying when there are a total of two trips to be made, one at the beginning of season, and one at the end. I agree, what you say makes a lot of sense. Having lived all over the country, I see Myrtle Beach as very much a fairly lower cost, “regional” tourist area, one that draws from surrounding states but that has relatively little draw for people who are going to be flying… I would also include Branson, Missouri in that vein. If you’re going to be spending the money to fly, you might as well go somewhere a bit warmer or nicer IMHO (e.g., Florida). I’m not saying that there isn’t a market for flights to Myrtle Beach, just that I don’t think that there is a big one, especially for people from GRR who may not have much knowledge/recognition of Myrtle Beach, and especially given the other LCCs that make runs from Michigan to sun destinations. I no a lot of people from the midwest (Indianapolis area) that have time shares in Myrtle Beach…I think Vision might have found what they have been looking for, at least for part of the year…I wish them luck. I for one, am flying with them next week from Myrtle Beach to Indianapolis…hope it is a good flight. I sure was impressed with the price of the ticket but I hope that does not reflect the quality of service. Looks like Vision should have some insight into their former partner’s business. I don’t remember how much flying Vision was doing for Direct Air, but yeah, they do have some insight at least. I was always reading that people were complaining that Vision was always late sometimes by hours, people don’t like that so they better have improved in ontime stats. Rockford must not want to throw any money to Vision since they know the airline has not been a success anywhere it has flown scheduled service. Don’t know how many people would want to fly to Myrtle Beach, but it could work for the summer if its cheaper then Florida. But since even the Hard Rock Theme Park didn’t last and was sold, open, closed, open, closed, maybe the area really isn’t as big a tourist spot for people to fly to after all. I think Allegiant operates a seasonal base at Myrtle Beach and it would seem the airport would be better suited to throw money at making them more successful than at Direct Air especially since Allegiant is a proven airline, but also one that will leave at the drop of a pin not only if its flights don’t make money, but also if it can’t sell travel packages (just ask Laredo). From experience, it seems Spirit does very well from there as well. While the market is a place to make money, I think it is adequately served by low-cost carriers and the legacy airlines. There’s also precedence in Hooters Air, which tried making Myrtle Beach a hub, but failed. As for Rockford…I’m wondering if it’s hesitant to start opening its wallet until the Honolulu/London flights start. The Rockford Register-Star wrote an article a few weeks back saying they were delayed until at least October because Mokulele couldn’t ink a deal with the charter airline. Mokulele pulled the plug as the numbers just didn’t work. This was a very bad case of not doing proper PR homework and prematurely announcing it. Anyone else notice that their paint scheme layout (not the actual colors used) is the same as Southwest’s prior to their going to the Canyon Blue? Google “N711HK” to compare the two.. Does Vision need new glasses? Since they jump around so much, how do they keep employees? Do their flight crews have to keep moving to keep jobs or does Vision base them monthly or something in the one area they are basing themselves? I was just at their website and they show the upcoming route map for Myrtle Beach and they still have that lone Gulfport/Biloxi to/from St Petersburg/Tampa which seems to be the only schedule service they have right now. Isn’t it normal for charter airlines to do a lot of odd routes? I’d guess Vision would operate in a similar fashion. After all, they also do charters, right? Vision does fly charters. I would imagine that they have very few employees on the ground in these cities. They just contract everything out to third parties. Lack of Vision airlines left a bad taste in the Fort Walton Beach-Destin area. Work out at the airport and have seen bad service, equipment issues, other things that generally showed incompitence in a airline. BTW vision flew into V.P.S not Destin. Diseptive marketing. It has to be so difficult for smaller airlines to find their niche to create some kind of appeal to consumers. As previously stated the price of fuel sky rockets every time we turn around making travel so much more expensive, only resulting in middle/lower income families not traveling at all. 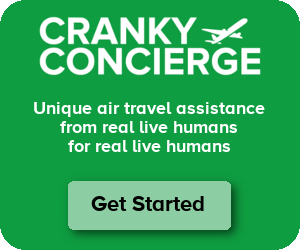 I give them kudos for not giving up and trying to find another location that could bring in more travelers, if I can afford to pay a little more to support a smaller company I do, and I know many people who would.